Dr Babbur Vijayalakshmi (Viji) qualified from Bangalore University, India, and was awarded a postgraduate degree in obstetrics and gynaecology from Mysore Medical College, India. After moving to the UK, she completed Specialist Registrar training from East of England Deanery and was awarded CCT by the Royal College of Obstetricians and Gynaecologists. Viji holds a membership degree from The Royal College of Obstetricians and Gynaecologists UK, an RCR/MRCOG diploma in advanced obstetric ultrasound and European Diploma in gynaecological endoscopy. She has Journal publications and has made several presentations at international conferences. 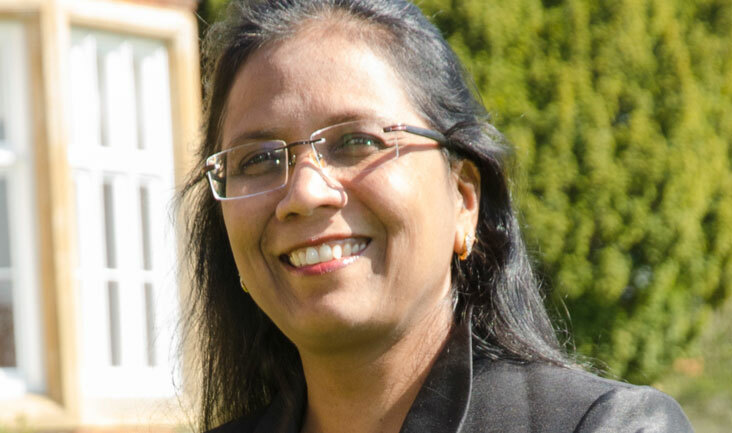 Viji’s work experience includes working as a consultant in obstetrics and gynaecology at Bedford Hospital, where she was the lead clinician for sub-fertility services, the Early Pregnancy Unit and Maternal Medicine. She was also in charge of undergraduate teaching and early pregnancy ultrasound training for registrars and nurses. She has more than 20 years of experience in the field of obstetrics and gynaecology and is committed to delivering compassionate, safe and effective care to her patients. Her vast experience and expertise helps to provide individualised, patient-centred care.